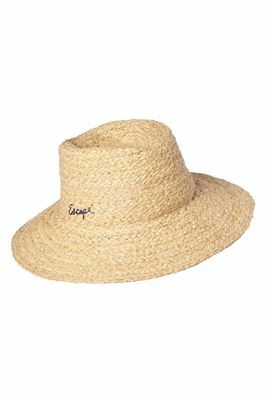 Mini moto straw rancher hat with handwoven 'Escape' stitching detail. By Kate Davis. 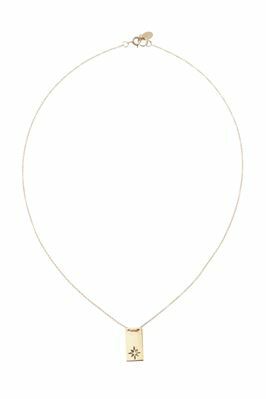 14K gold filled micro tag stamped with a compass rose on 20 gauge sheet and suspended from a delicate chain. Each piece is cut, stamped, and polished by hand. By Ginette NY. 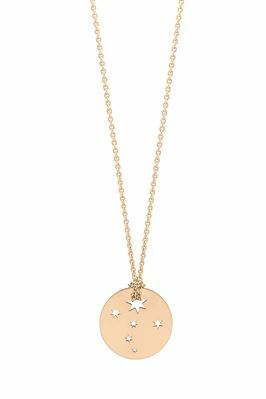 Mini Milky Way Disc 18k rose gold necklace with star motif. By Atelier Paulin. 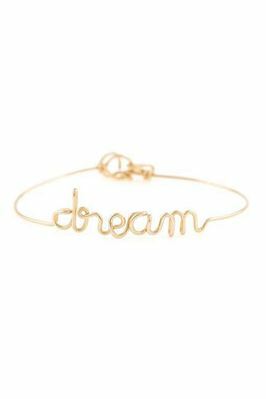 14K gold filled wire bracelet featuring timeless word 'dream'. By Nova. 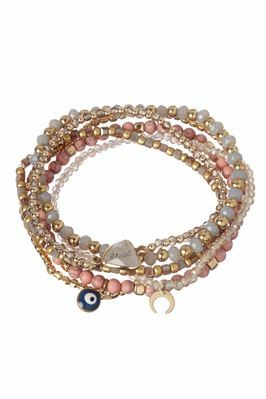 Beaded bracelet set with evil eye and crescent moon charm.